 CMMS is the acronym for Computerized Maintenance Management Software. It is a solution that manages all aspects of preventive and corrective maintenance and reliability of your assets. CMMS software is an essential element in the setup of a process of maintenance management in an organization. 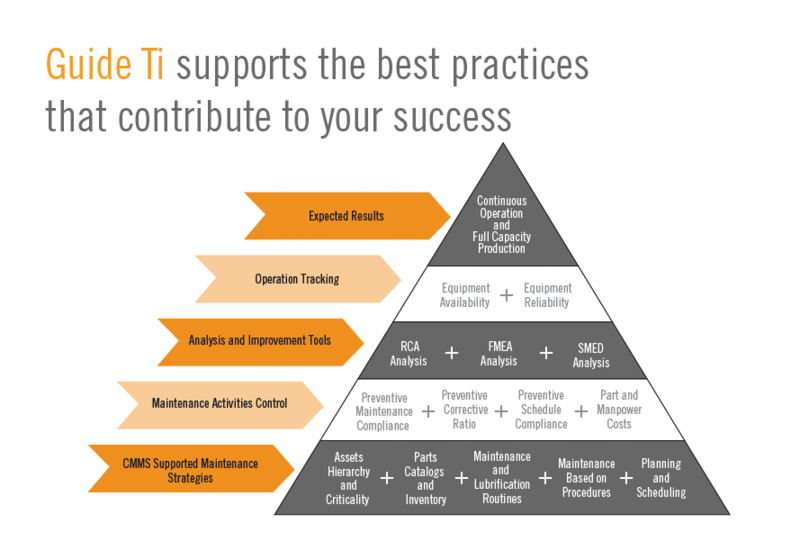 The Maintenance Management Pyramid explains the different stages an organization must go thru to reach an effective preventive maintenance process and achieve operational and reliability excellence. a Computerized Maintenance Management Software is software that centralizes data related to an organization’s maintenance activities and serves to streamline those operations. CMMS systems help maintenance managers perform their day-to-day jobs more effectively by managing work orders, providing real-time data on machine and equipment downtime, managing inventory levels and spare parts purchasing, providing alerts on upcoming scheduled and preventive maintenance, displaying work order status and more. 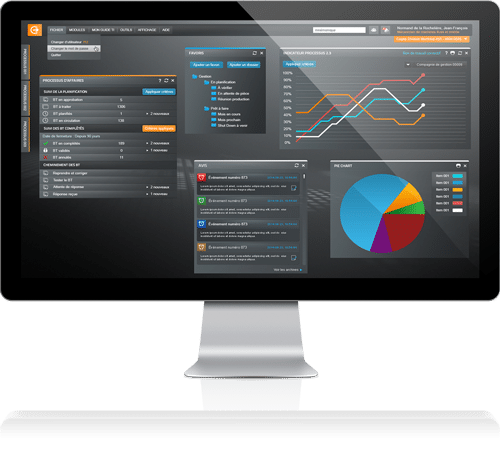 Maintenance management software is ideal for any organization where equipment up time, efficient workflow management, and monitoring maintenance and operation costs are a priority. A maintenance software is an essential tool in sectors like manufacturing, vehicle fleet management, facilities management, mining, etc. A powerful CMMS system provides a variety of helpful features. Here are some that are integrated in Guide Ti, a CMMS developed by COGEP. Guide Ti can be your asset maintenance management tool and help you manage resources, labor, vendors, preventive maintenance, and inspection schedules. The mobile application or the web version can used on-the-go if you are traveling from site to site.